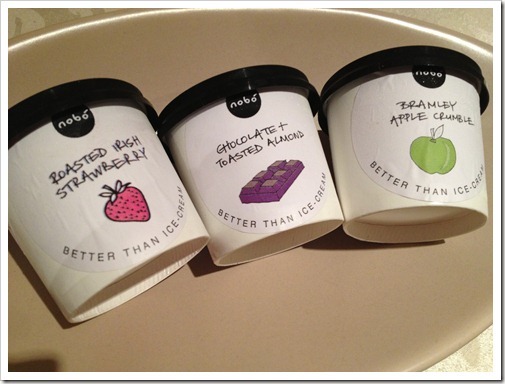 Entries tagged with “Vegan ice cream Ireland”. Though I would never refer to myself as a health nut, both Mountaineering Man and I generally prefer clean foods – ones that are not from a tin can or that have a list of hard-to-pronounce ingredients that are likely produced in a lab somewhere. Instead of sliced, pre-packaged sandwich meat, we bake free range, organic chicken breasts for sambos. Rather than buying bottles of salad dressing, I make my own. We buy our bread from bakers we know don’t use additives to speed up the rising or baking process. We frequently make veggie tacos using real corn tortillas and fresh guacamole over the more traditional, meat-based version. 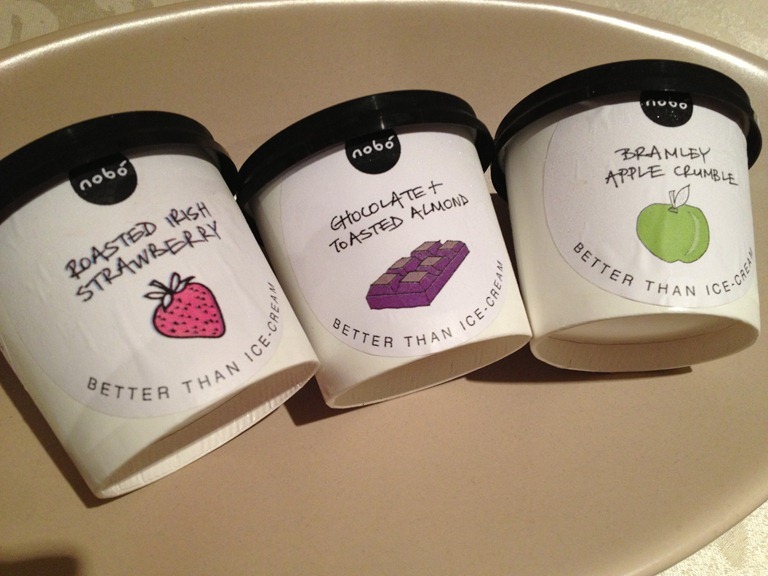 So I was thrilled to discover Nobó, a new Irish line of dairy-free, all-natural frozen treats. It’s basically ice cream, without the cream and additives (many ice cream companies add gums to keep their frozen treats easy to scoop and not rock-solid). An American in Ireland is powered by	WordPress 4.5.17 and delivered to you in 0.213 seconds using 46 queries.